Lord Ganesha like black plum. Children should eat 5 black plums in morning-evening. 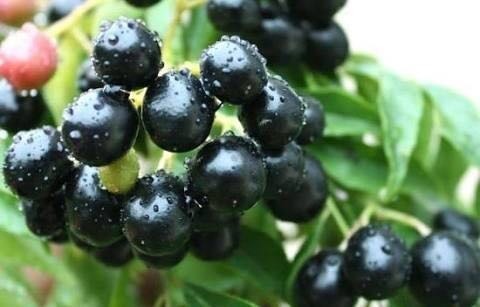 Black plum tree is very beneficial. Black plum is used to worship lord Ganesha. Black plum avoids negative effect of Shani and Venus. The use of black plum is beneficial for negative people. Black plum strengthens child’s bladder. Diseases become severe when body is weak. Remove kernel of black plum and dry it. Prepare its powder when it becomes dry. Children can eat this powder with water two times in a day. Black plum is beneficial for good voice. Remove kernel of black plum and dry it. Prepare its powder. Mix this powder in honey and eat it. This improves throat and voice. The consumption of black plum makes body strong. This avoids diabetes. Those who suffer with diabetes they should eat black plum. Children should eat black plum’s kernel powder twice in a week. Prepare dry bitter gourd seed powder and mix it in black plum powder. Daily eat one teaspoon powder. It is beneficial to mix rock salt or black salt in black plum. This strengthens stomach. It increases appetite and avoids indigestion. Black plum reduces the risk of stone. Black plum increases body’s power. Eat at least 25 black plums if you have less stamina. Eat 5 black plum kernel powder with milk before bed. Keep 25-50 black plum in pottery. Put black salt and rock salt on it. Then eat black plum from pottery. This removes dehydration problem. Black plum is beneficial for anti-septic or anti-biotic medicine patient. Do not eat black plum without rock salt. Black plum avoids anemia. In this case, eat black plum. It has calcium, potassium, iron and vitamin. Prepare the paste from bark of black plum. Apply it on pain or inflammation. Heat the black plum leaves and apply it on injury or wound. One faces many problems due to impure blood. Boil two leaves of black plum and drink this water.